Some of our readers will remember the cool recycled Optimus Prime that we featured on the site a while back, it was created by the guys over at Robosteel. 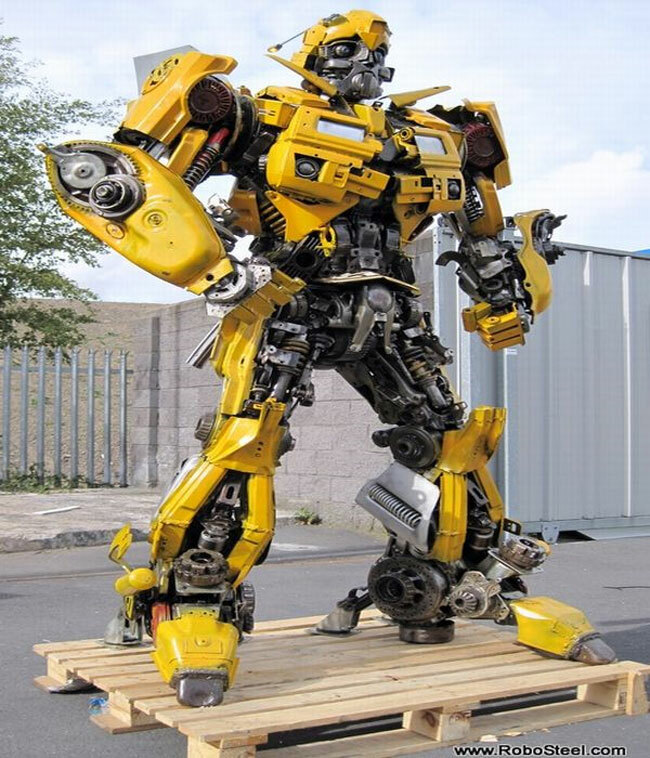 Their latest creation is this awesome Bumblebee which is made from a recycled Camaro, and he stands 2.2 metres tall. 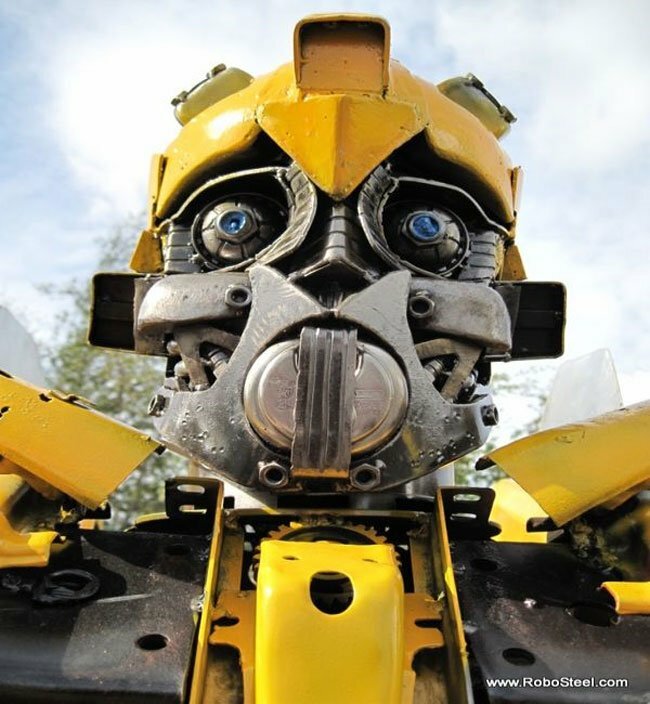 As you can see from the photos, the level of detail is amazing, and he looks just like the original Bumblebee, head on over to Robosteel for lots more photos of this cool Bumblebee sculpture.